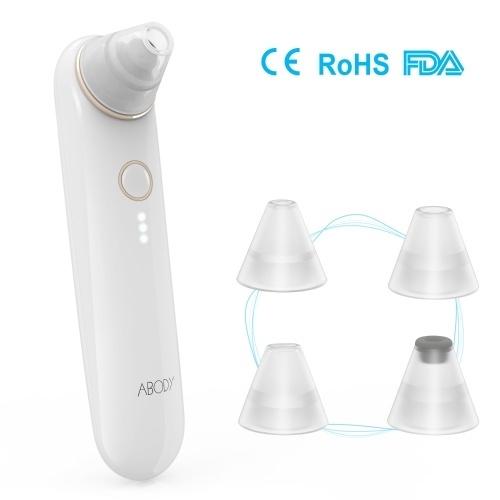 【Professional Blackhead Remover Pore Vacuum】Adopted the advanced vacuum absorption technology, the blackhead vacuum extractor with powerful vacuum suction is dedicated to removing acne, blackheads, mites, and skin exfoliation leaving skin active and flexible. 【3 Adjustable Suction Levels】This electric facial pore cleaner has 3 suction intensity. 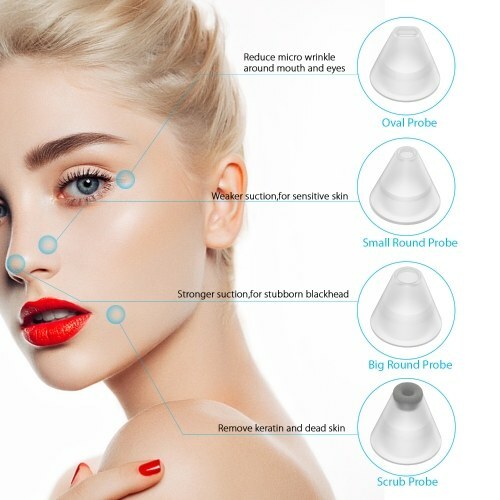 You could choose the suction intensity according to your own needs or how stubborn the blackhead. 【4 Replaceable Suction Heads】Oval Probe: reduce micro wrinkle around mouth and eyes// Small Round Probe: weaker suction for sensitive skin// Big Round Probe: stronger suction for stubborn blackhead// Scrub Probe: remove keratin and dead skin. 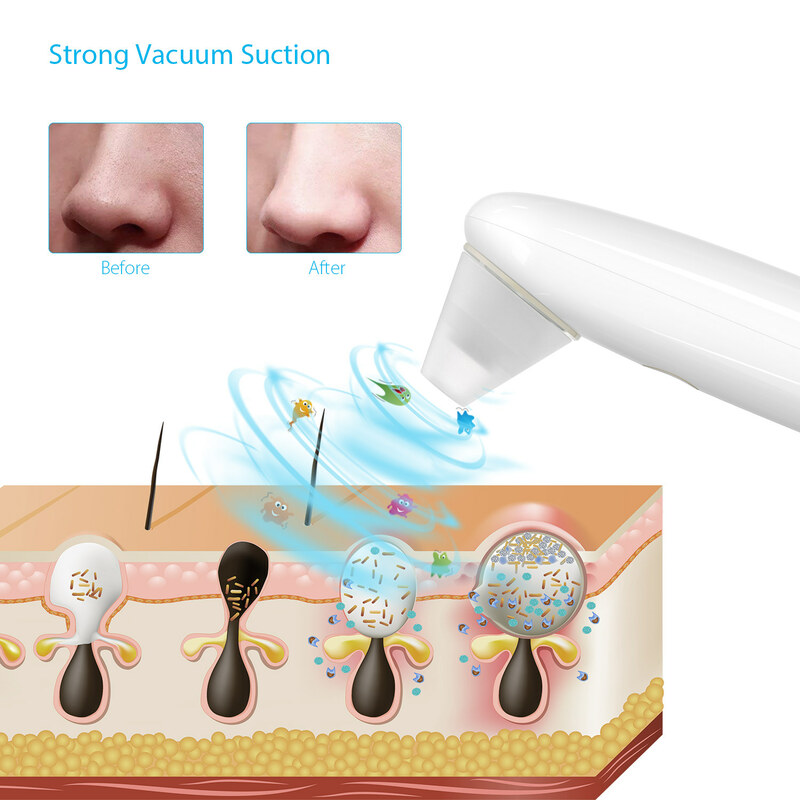 【Durable Battery】Rechargeable pore vacuum cleaner is fitted with 500 mAh battery. 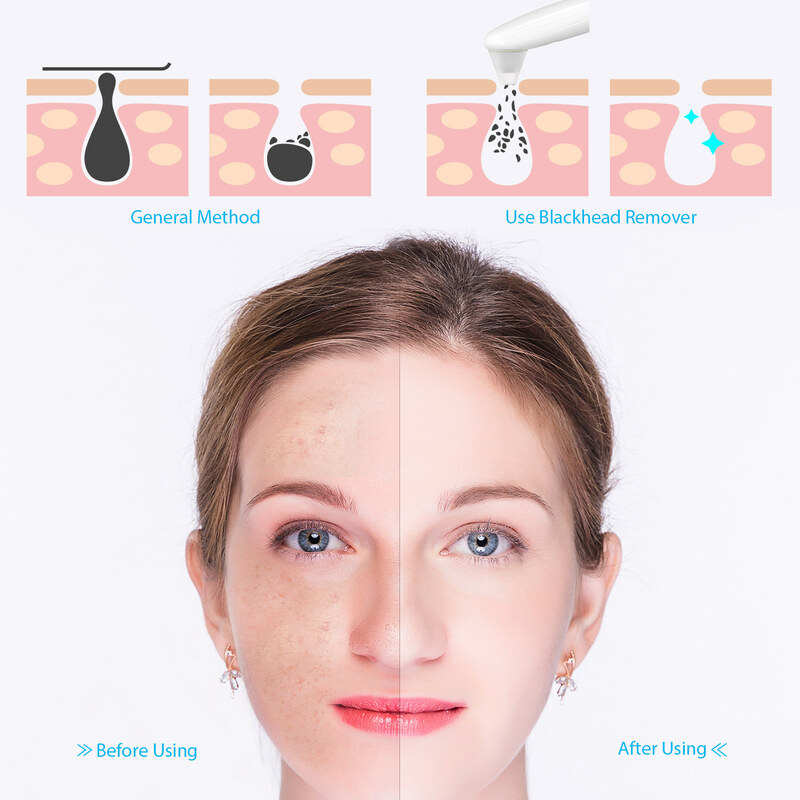 The blackhead acne remover works for 80 minutes after charging for 2 hours. 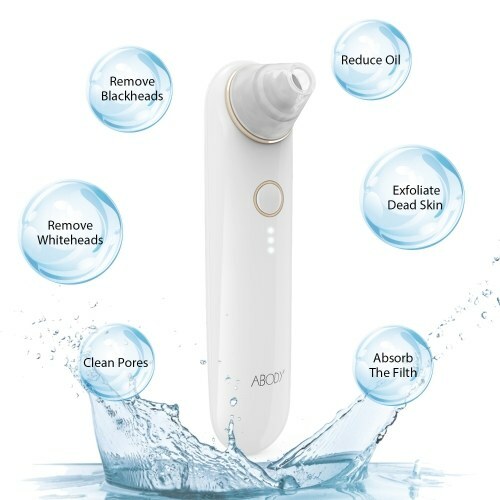 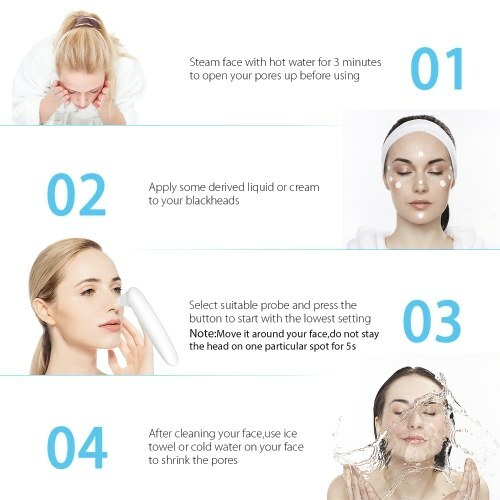 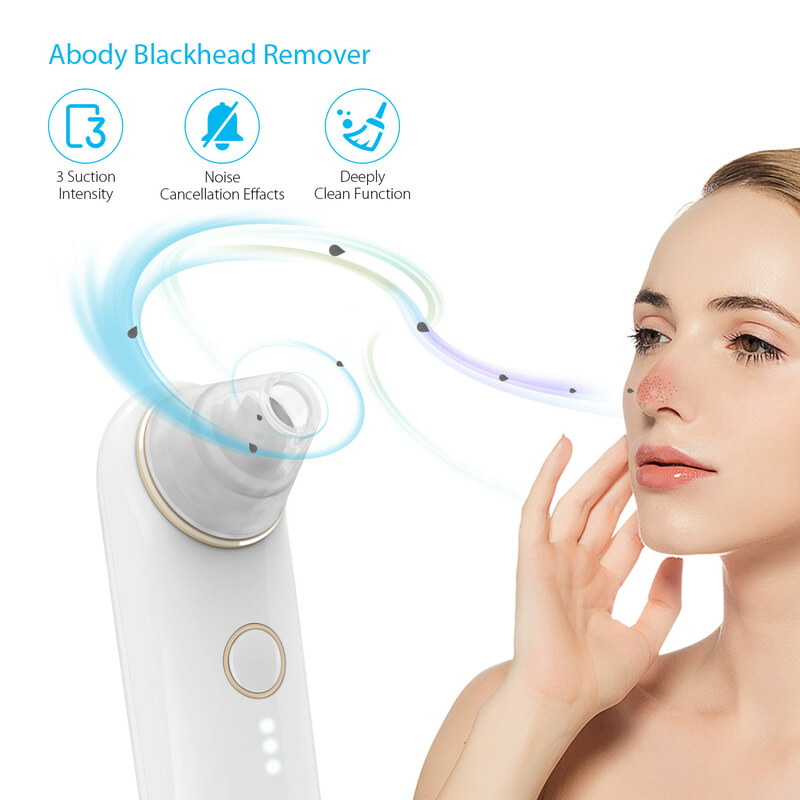 【Lightweight and Ergonomic】The blackhead and acne remover vacuum has a portable and compact body, which makes it travel-friendly and user-friendly. 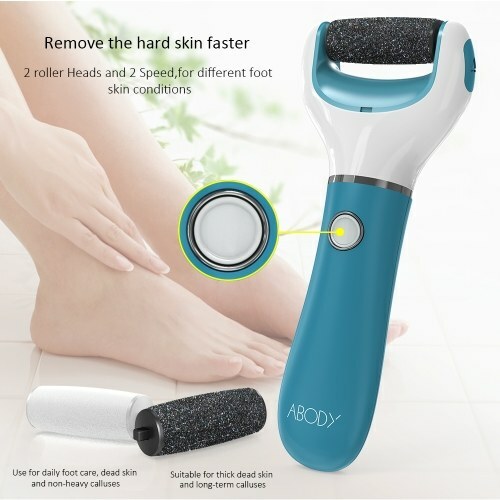 You can use it anytime and anywhere.